Arrr! That be some fine booty! Well? The Roach's art isn't always just what he creates in Photoshop... sometimes it's a little more real, like this gift to two of his friends on the most magical day of their lives. 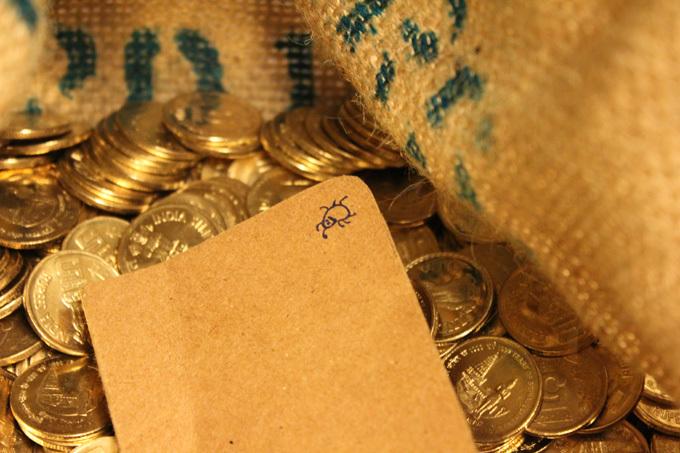 600 freshly minted coins in a sack, and some original art by the Roach (not pictured) for the happy couple! Special thanks to The Reserve Bank Of India, Dr. Talwadi, Niki and Russo, and Swathi and Chef of course, for the part they played in making this possible.